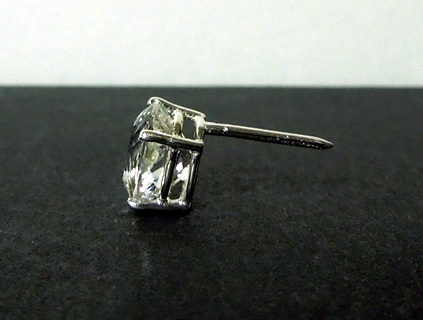 Notes: Add an affordable diamond for your, or your man's, ensemble. 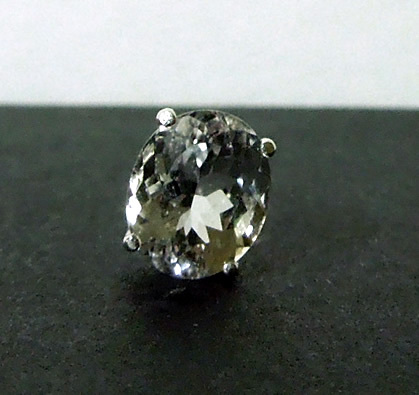 It's also a fashionable and affordable April birthstone. 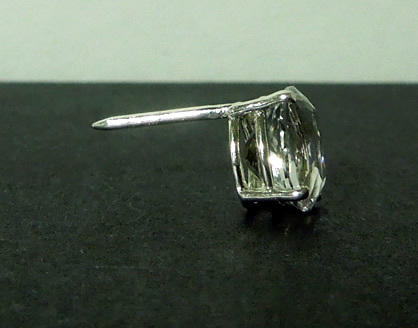 This oval cut Herkimer Diamond measures 10x8 mm / 3 ct., the perfect size for a tie tack. 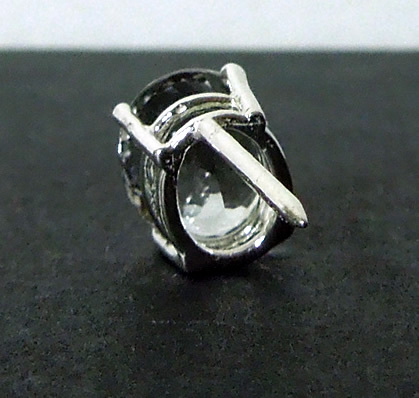 Set in sterling silver, it has a great sparkle, as the images show. 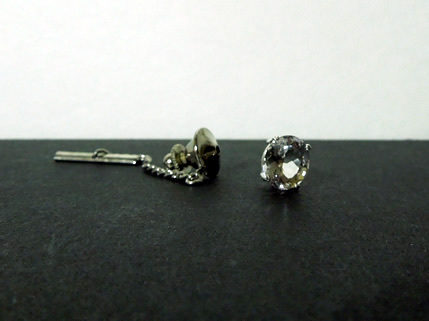 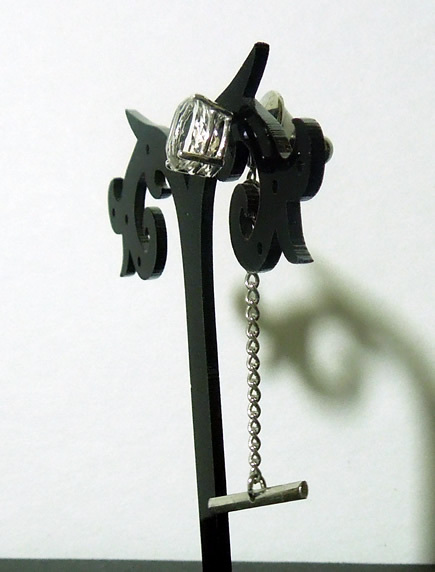 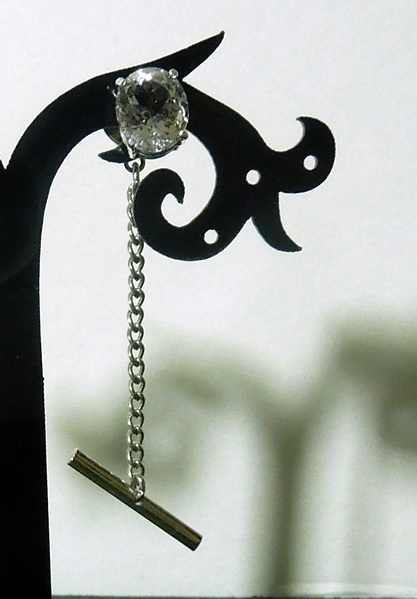 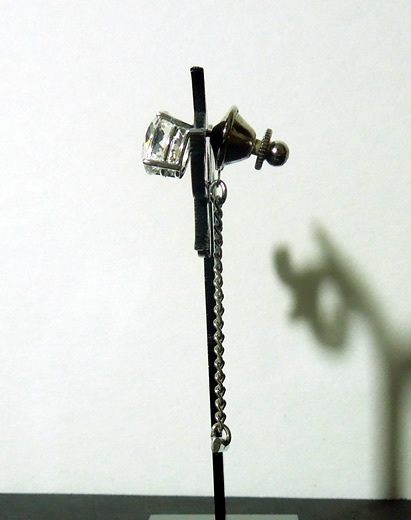 A Herkimer Diamond tie tack in sterling silver.